Welcome to later. Today has been such a busy and fun day. In honor of my five wonderful years in SL I bought five new items to update myself. So, I haven’t written in a while. 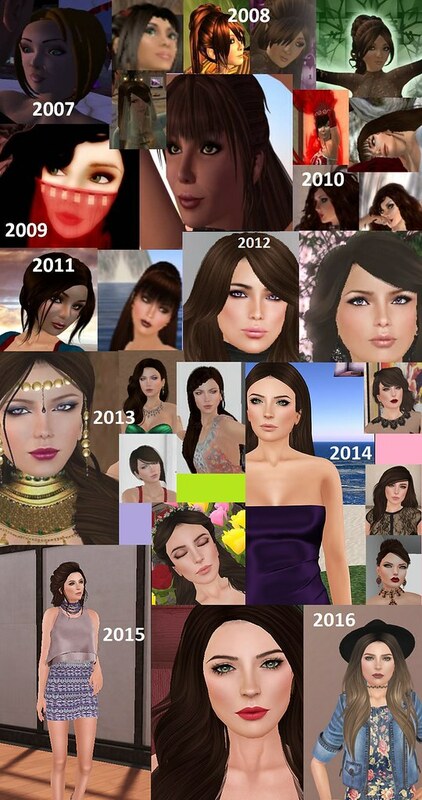 Well, I’ve been going through the ringer trying to get a computer that actually worked with Second Life. FINALLY, I am successful. Thank goodness. After all, 5 years today, I was trying to figure out what name I was gonna use with which last name. When I finally settled on Liliana Aluveaux, I signed in for the very first time. It deposited me on an orientation island with about 80 of my closest friends. All looking like the noobs we were. I didn’t understand how it worked, how to look good, or how to do anything in the lag. So… I signed out and forgot about it for a few days, turned off by the lag. It wasn’t until the next weekend when I sat down and forced myself to use it. The rest as they say… is history. I’ve found so much by coming here. Two RL relationships, awesome places, earned a few bucks along the way, and done some of the most epic rp I’ve ever done. Before SL I had been a Yahoo User room rper. So, not only did I have to create great rp but I also had to be able to dress myself accordingly and be able to move myself when I had to. I was a para rper before and it took a good year before I was able to post that much. So… whats been my favorite? Actually, the plain old urban. A lot freer with what you can do. In my next post, I’ll cover how I treated myself five ways for my five years. Stay turned today! Lets be honest. I love me some Haut Monde. Everywhere you go you at least see SOMEONE wearing a dress, shoes, or something else from this store. Now, I had been holding back. I always loved the clothes but I never seemed to have the cash for it. Thankfully, I came into some funds and was able to show you what awesomeness looks like. Shirt and pants are from Haut Monde. Feet are the new mesh ones from SLink. I love em! Hair is Alice Project. Ok so… I actually changed my skin. I’ve always loved the texturing in the face for LAQ skins but I always hated the stomach. It just never quite looked alright for my shape. Anyway, I finally broke down and bought a Belleza skin. Chloe to be exact. I know Belleza has been taunting us all with a new skin (Whore Couture fair), but, I just liked the look of this one best. 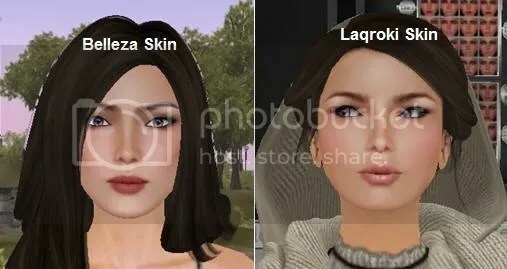 Instead of being more yellowy like LAQ Skins, Belleza is more reddish. It took some getting used to but now I love my skin. Yeah its really light but I like my avatar to be lighter. So… here it is! I also love how I shaped the face and the structure of the eyes, lips, and eyebrows on my new skin. You like? Who is that masked woman!? Who is this masked woman? Is she good or evil? Well until you unmask her, you’ll never know…. Fashion for Life! Shop for a good cause! When you get there, the sim is divided by Past, Present, Future, and Timeless. So many places have mesh! Timeless has mesh so far I see. Shop til you drop for such a good cause! Pictures to follow. At FFL I found out about Exile releasing mesh hair! Go now!